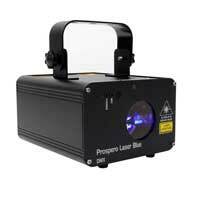 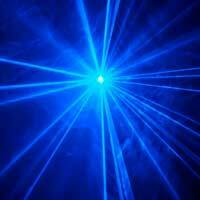 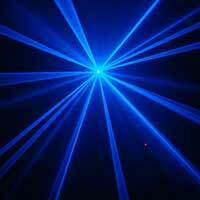 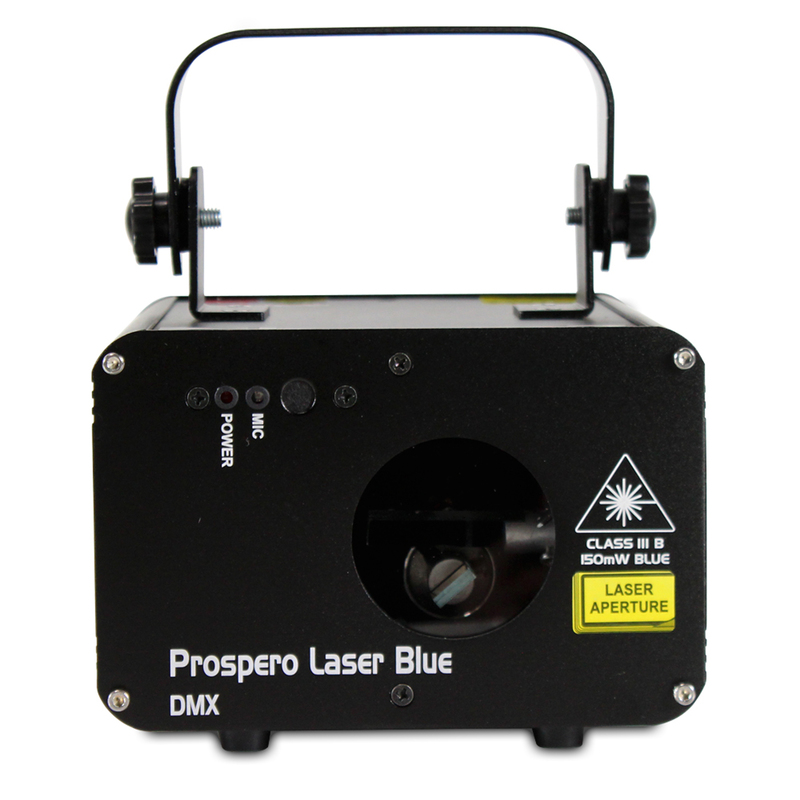 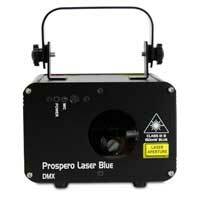 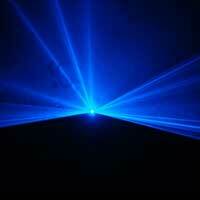 Introducing the fantastic Prospero Blue Laser light from Beamz. 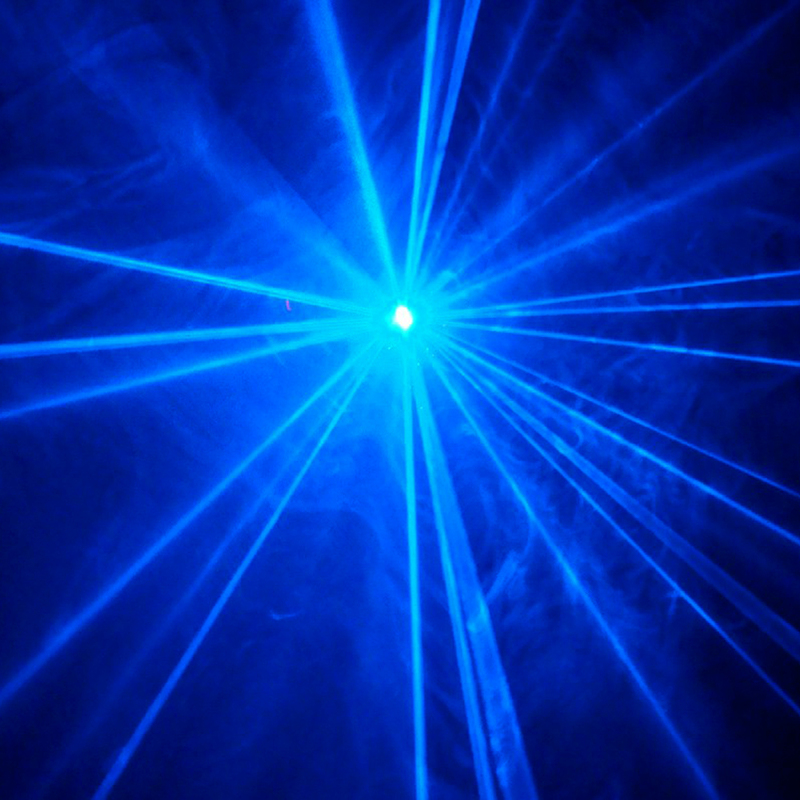 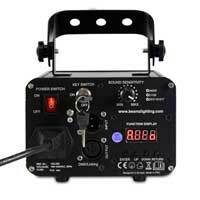 The Prospero is equipped with a powerful 150mW 447nm blue laser diode which projects a number of spectacular effects that make for unique and memorable lighting performances night after night of use. 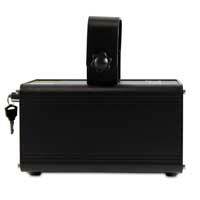 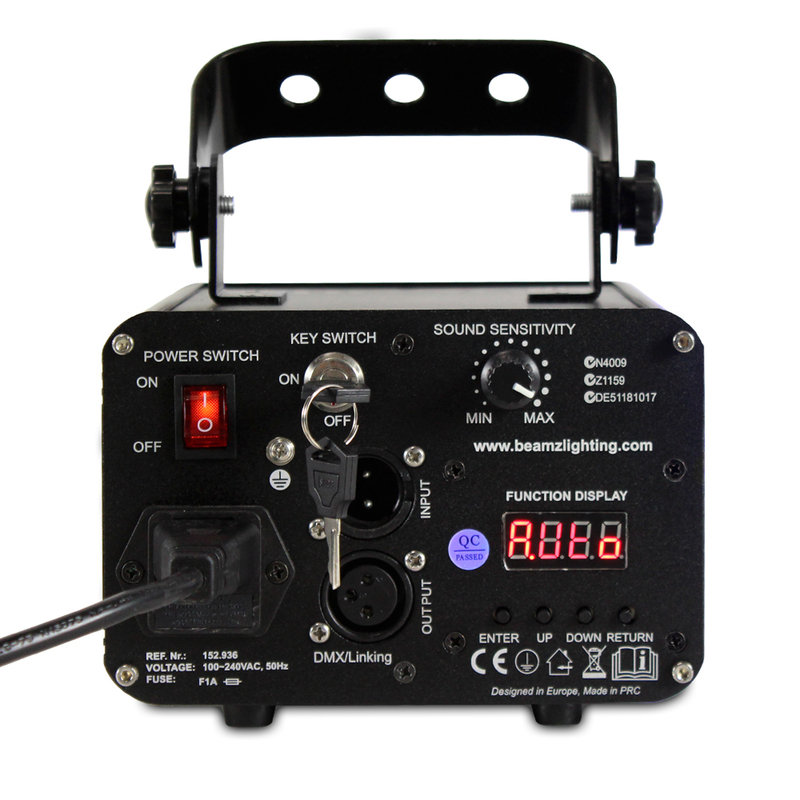 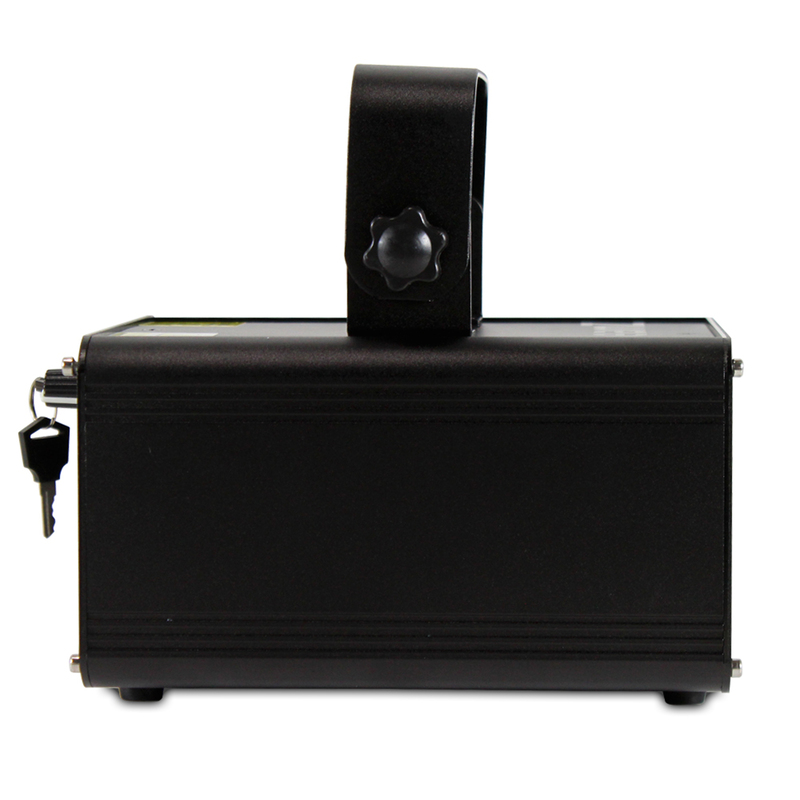 With the built-in "big angle" step motor the mirrors within the laser are controlled at a fast pace and provide a wide spread beam, covering most moderately sized venues from wall to wall. Featuring a 9-channel DMX mode, auto mode, master/slave and sound activation mode, users can further enhance their lighting show and make every disco, party and event a night to remember with the Prospero laser light.